– Consider making a monthly pledge – please call 520.529.1032 to set this up in a matter of minutes. Gifts of cash, check, or credit card are warmly welcome. You may securely make your donation online. Gifts of Stock – If you contribute appreciated securities to Tucson Waldorf School, you receive a two-fold income tax benefit: a charitable deduction for the present fair market value and no capital gains tax on the appreciation. Please contact Development Office at (520) 529-1032 ext. 104 for information needed to transfer stock to Tucson Waldorf School. Matching Gifts – Talk with your employer about their matching gift program. They may be able to help you double or triple the amount of your contribution! Tribute Gifts - Gifts made in honor or memory of a student, faculty member, family member, or friend are gratefully accepted and acknowledged at Tucson Waldorf School. – Remembering Tucson Waldorf School in your will through a charitable bequest reduces the amount of your estate that is subject to estate tax. – When you create a charitable remainder trust, you guarantee a gift to Tucson Waldorf School in the future. In return, you receive both an annual income from the assets you use to fund the trust and an immediate tax deduction. A charitable lead trust works the opposite way. Tucson Waldorf School receives an annual income stream from the trust assets for a period of time, then the remainder goes to your heirs. Tucson Waldorf School gift year ends June 30, but you may want to contribute by December 31 to take advantage of current year tax benefits. Online Shopping – If you shop at amazon.com, TWS will receive a percentage of all your purchases when you visit amazon.com by using the amazon link on our website (below). You can also register your amazon account through smile.amazon.com and choose TWS as your charitable organization. Every time you shop, a percentage of all your purchases will also go towards our school. Matching Funds – Double or even triple your gift. Many companies match gifts to non-profit organizations like the Tucson Waldorf School. Ask your HR department for a form (if they support elementary education) and send it with your gift. For proof of 501(c)(3) status, please contact our Development Associate at 520-529-1032 #104 or [email protected]. 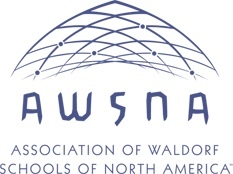 An accredited, full member of AWSNA.